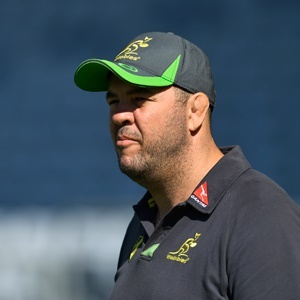 London - Australia coach Michael Cheika named an unchanged starting XV to take on England but then admitted he had a doubt over the fitness of star lock Adam Coleman. But with the Wallabies looking to end a run of four straight defeats against an England side coached by former Australia boss Eddie Jones, Cheika decided to include Coleman. "He is not 100 percent," Cheika told reporters after unveiling his side on Thursday. "I would be lying if said he was 100 and you know I never lie. "I would say he got through today pretty good, better than I thought, and we would not pick him if we did not think he could do his job. "He is a tough lad." Australia will be seeking to record their first win over England since knocking them out of the 2015 World Cup with a 33-13 pool victory at Twickenham. For all their undoubted back-line flair, Cheika knows it is up front that the Wallabies must gain the edge if they are to defeat England this weekend. "They are a big side, strong. They are a very powerful side, they will try to bully us around. Traditionally, that's the way their game has gone. They try to bully us," Cheika said. "The fact they are unified behind that strategy means we are going to have to look them in the eye and take them on if we are going to be able to resist that," he added.